Edited by Dark Lord, 20 June 2013 - 02:40 AM. Edited by Dark Lord, 20 June 2013 - 12:24 AM. 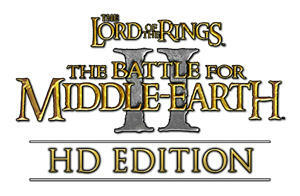 I do like the look of Haldir and the other Galadhrim. Good work! Edited by Dark Lord, 20 June 2013 - 02:39 AM. are concepts are not finalized, but thanks I'll mark the titles for that confused. Edited by Dark Lord, 20 June 2013 - 02:44 AM. 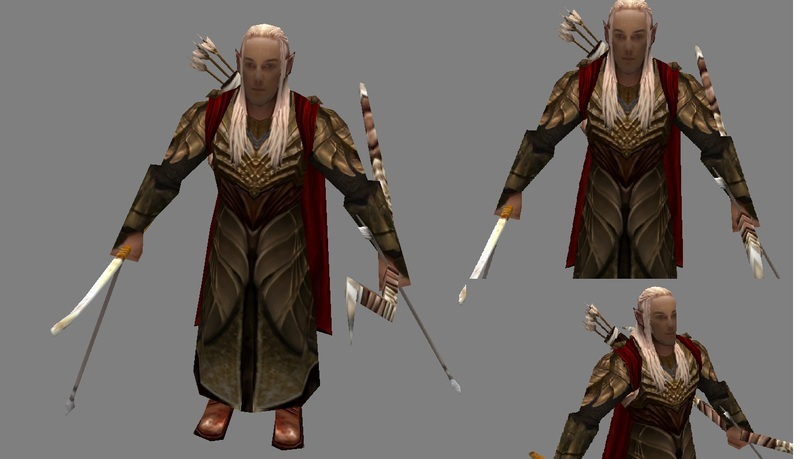 Sorry, I have read your part about adding it to your to-do list, but some further advice on Legolas. Move the jaw to give him an actual chin, and darken the top of his neck to show that there is indeed shadow there. Aside from that, they're very nice skins. I think you need to work on your mapping skills around the face areas. The skins look nice enough, and with a bit of touch up here and there they will be splendid and very appealing to see in game. Though I notice your faces tend to look odd, which isn't always because of the skin, but often the position of the facial features on the textures themselves. 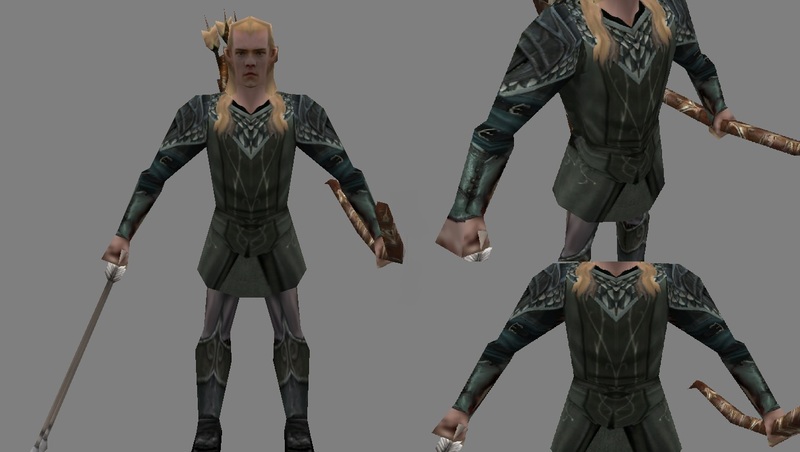 Legolas for example looks too angry, his mouth is fixed in a permanent frown. 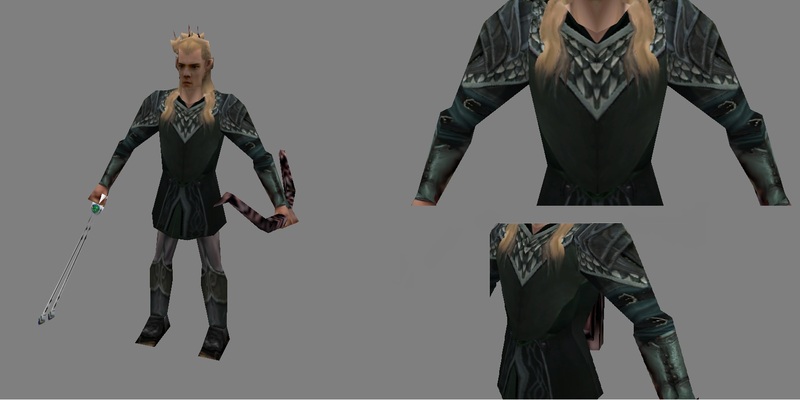 You need to adjust the UVMapping to even it out and make him look more natural. And for the Galadhrim, the face looks very squished sideways. Again, adjust the mapping to broaden the face out a bit. Do these things, and your skins will look entirely better. Do you know how to UVMap? I assume so, but I have to ask just in case. 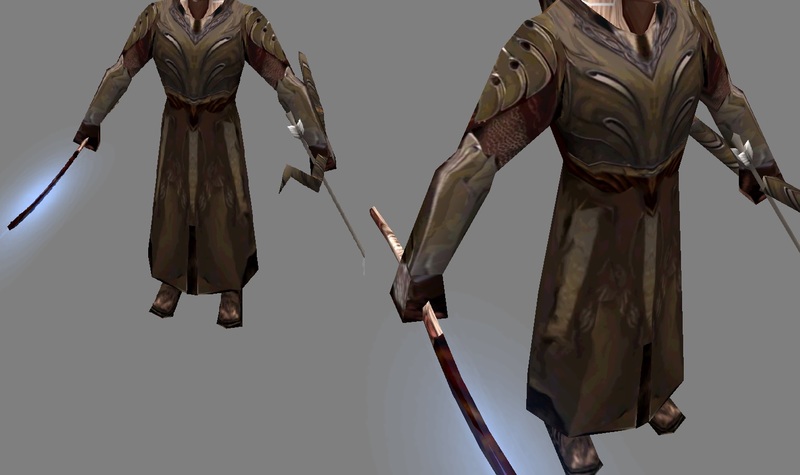 Kwen I believe they are just re-skins so he may not have done any UV Mapping changes. But Haldir's face is brilliant ! Edited by Dark Lord, 04 August 2013 - 11:36 PM. Aside from the skirt , looks ok , but why aren't you showing his face? Edited by Valaquenta10, 04 August 2013 - 11:39 PM. Asaide from the skirt , looks ok , but why aren't you showing his face? Edited by Dark Lord, 04 August 2013 - 11:59 PM.